I don’t know about you, but this is the time of year where I find myself dreaming about being on a beach somewhere, soaking up the sunshine with a Pina Colada in hand. Sounds nice, doesn’t it? I can’t help but reminisce on days like today. A day where we have an extreme cold warning for the City of Toronto and something called a “Bomb Cyclone” hitting parts the U.S. East Coast. (By the way, a Bomb Cyclone is a real term used by meteorologists, and not a made up term for clickbait like many people seem to think). As much as I love adventurous trips where I get to explore new cities and cultures and see things I’ve only ever seen in movies or read about, I also love heading down south to spend a week relaxing on the beach and spending some real quality time with my friends and family. I have so many special memories from each of my trips. 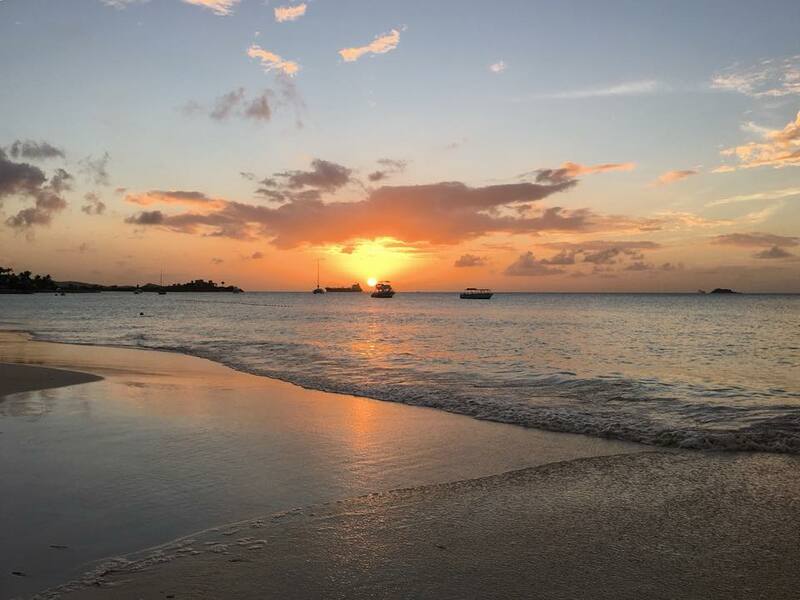 I had originally planned to write this blog about one particular place, but I just couldn’t decide, so I’m just going to share with you, some highlights from a few of my favourite Caribbean vacations so far. My trip to Runaway Bay in 2012 was the first time that my family and I vacationed at an all-inclusive together. We’d been on plenty of family vacations, just not to an all-inclusive. I remember that I had a terrible head cold and went through packs of Kleenex while relaxing on the beach, but it’s hard to complain when it’s February and you’re in Jamaica. I guess that was more of a side note than a highlight. We did an excursion where we visited Ocho Rios, shopped at a local market and tried some real sugarcane and then we climbed Dunn's River Falls. That was so much fun! I highly recommend visiting Dunn's River Falls if you ever find yourself in Jamaica. Don’t forget your water shoes! A year later, my mom and I went to Negril with 8 other members of our family to celebrate some big birthdays. The first thing I saw once we got to the resort was the beautiful sunset, which I then got to see every other night for the rest of the trip. Seriously, Negril has some stellar sunsets! The beaches are incredible. The 7 mile beach is famous for a reason! Rick’s Café is must see! The view is simply stunning, and if you’re brave enough, you can try some cliff jumping. I may have chickened out, but I had fun watching everyone else! The people. The food. The white sandy beaches and sunshine. Jamaica will always be one of my faves. Punta Cana was my very first all-inclusive trip, so of course that’s something I will always fondly remember. This was the first time that I tried those typical resort activities like parasailing, and banana boating. Word to the wise, try not swallow that ocean water. Just saying. My favourite trip to Punta Cana was for a very special family wedding. As far as destination weddings go, this one had an incredible turnout of about 40 people, if I recall correctly. I had the opportunity to help photograph this wedding, and I will cherish this forever. It was the most perfect week, with perfect weather and a perfect wedding. I’ve stayed at the Dreams Palm Beach Punta Cana and the Dreams Punta Cana and they were both fantastic resorts with great fun and friendly staff. St. Lucia had been on my bucket list ever since I was kid when I would look through the travel catalogues that you would get from the travel agencies…you know, the best way to choose your travel destination in the 90’s. I remember thinking that it was one of the most beautiful looking places I had ever seen! Once again, my trip to St. Lucia started very similar to my trip to Boston that I mentioned in my earlier post, with my friend messaging me, wanting to go on vacation. It just so happened that they had some INCREDIBLE deals for the travel industry on, so of course we jumped on that deal! The hardest decision we had to make that day, was choosing between Antigua or St. Lucia. I know, I’m a lucky girl! From the minute we landed, I was in awe. It was just as beautiful as I had always imagined. It was lush and mountainous. The van ride to the resort had me hanging on for dear life as we zoomed around these S type bends up and down the mountains. St. Lucia is definitely a place where you should take advantage of the excursions. We got to see the famous St. Lucia Pitons from our Catamaran, took a dip in the volcanic mud bath (that sulphur was something else though), stood under the Toraille Waterfall for a cool photo op, and had the option to do a little snorkeling. St. Lucia is a dream, and I can’t wait to go back one day. Where is my winter escape going to be this year? That is the question! 9:01am – Friend: What are you up to today? Me: Just heading into an appointment and then free as a bird. Friend: Did you want to do something today? Me: Yes I do! What did you have in mind? Friend: Want to go to Boston for the night? Friend: How quickly can you pack? I headed into my appointment and then rushed home. Packed and ordered an Uber to take me to the airport in 10 minutes flat! Once in the Uber, I called my mom to let her know where I was off to. Me: In an Uber on my way to the airport. Mom: Of course you are. By noon, we were on the plane and headed to Boston for the weekend! The only thing I forgot to pack was my toothbrush. Not bad right? I suppose I should mention that the reason I was able to take this spontaneous trip, is because this friend happens to work in the travel industry and if we can just fly standby if the space allows. This was our second time in Boston together, and it was a blast! I am completely in love with Boston. The architecture. The history. The people. The food. The highlight of this trip? On Saturday night, we walked around downtown trying to find a good place for some drinks. After a couple of duds, we ended up at this little hole in the wall pub called the Hub Pub. The drinks were cheap, the music was good and the doorman was the best thing about the place! He had this awesome handlebar mustache, got to know the customers by name (cue the Cheers theme song), and sang all the hits, karaoke style. My cheeks hurt so much from smiling and laughing. But the absolute best part of the night was when said doorman, who has never been out of the state, sang ‘Oh Canada’ to us, perfectly, as we walked down the street and back to our hotel. That’s definitely one for the books!